Hayn has been engineering and manufacturing marine, architectural, and industrial rigging hardware since the late 1950's. Hayn's commitment to advanced automation, latest design technology, and manufacturing techniques give us a distinct advantage over our competitors. 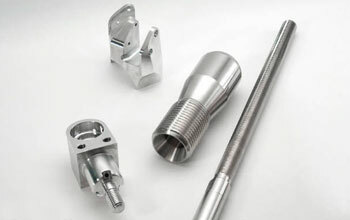 Hayn offers short lead-times for both our standard products as well as custom components. Hayn's corporate culture includes a highly specialized team that endlessly seeks opportunities for improvement to quality and product features, as well as customer service. The Navtec trade name and Rod Rigging Designs are the exclusive intellectual property of Hayn Enterprises, LLC. Hayn is branding our NAVTEC Rod Rigging products as "NAVTEC Made By Hayn" to eliminate any confusion amongst the industry. Hayn's Rod Rigging line is manufactured in their Rocky Hill Connecticut facility located in the Northeast United States, to the strictest of quality standards. As with our wire rope fittings, Hayn offers short lead-times for both our standard products as well as custom components. 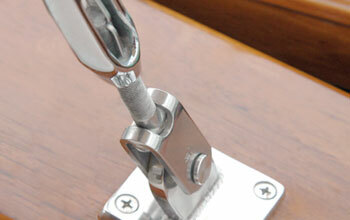 The marine proven technology behind Hayn Marine has been adapted for use in the architectural field. From the high tech look of stainless steel, chrome, glass, etc. 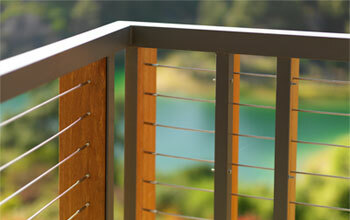 to the warm look of wood or brass, Hayn Lines will accent any decor. Marine tested and approved with a 60 year reputation for quality, delivery, pricing, and customer support, Hayn is the preferred choice for architects and designers. Hayn distributes two professional-grade swaging solutions which can be tailored to your specific needs. 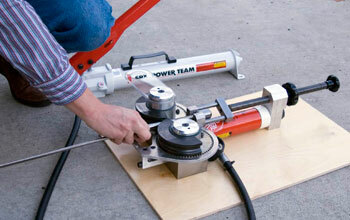 All "Machine Swage" Hayn parts must be swaged using one of these solutions. "Handy Crimp" hardware is crimped using the Nicopress Crimping Tool. We also carry Felco Cable Cutters and Finishing Wipes. Applications ranging from marine to aftermarket automotive performance products, decorative architectural products, and more.